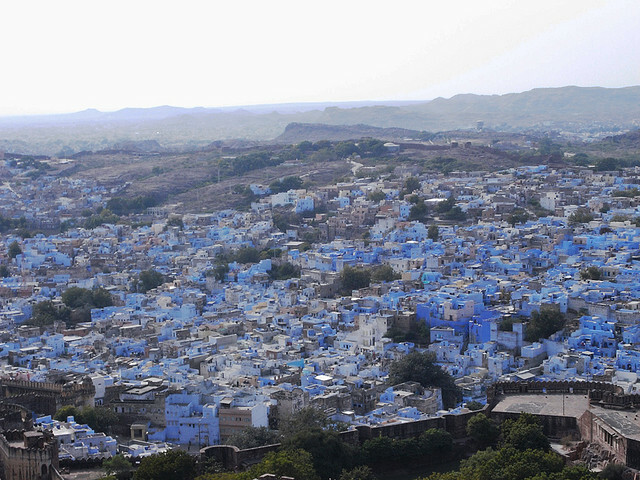 Travellers journeying through the desolate landscape of the unforgiving Thar desert in the Indian state of Rajasthan would know when they had reached their destination. 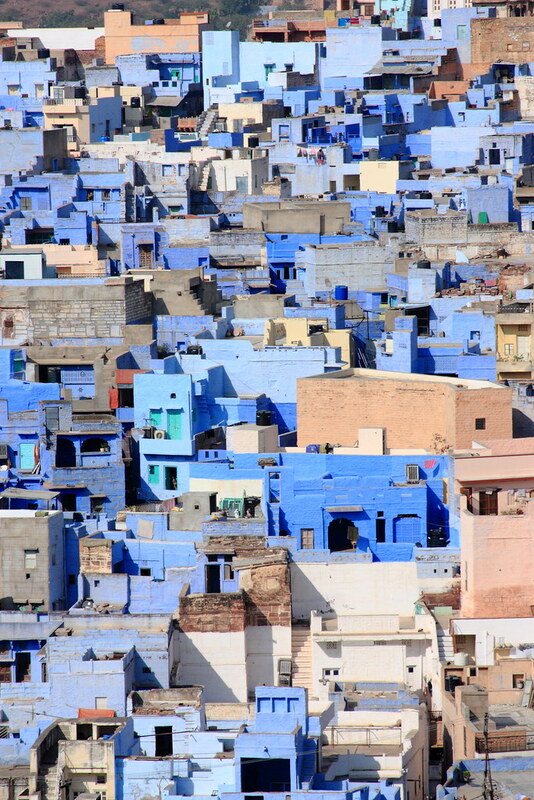 The sky would fall to the ground and everything would become a single color – blue. 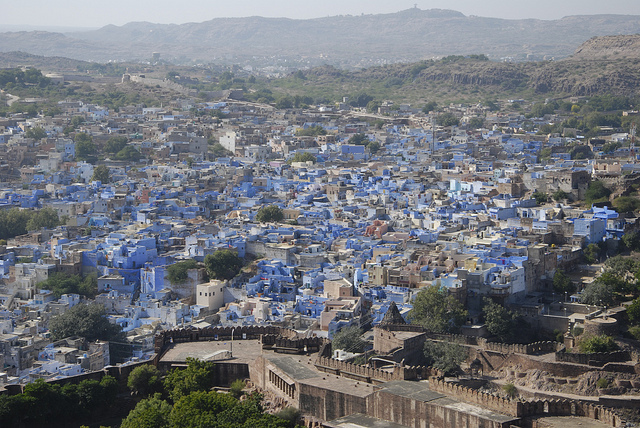 Jodhpur would lie before them, opening up like a blue treasure in the desert. 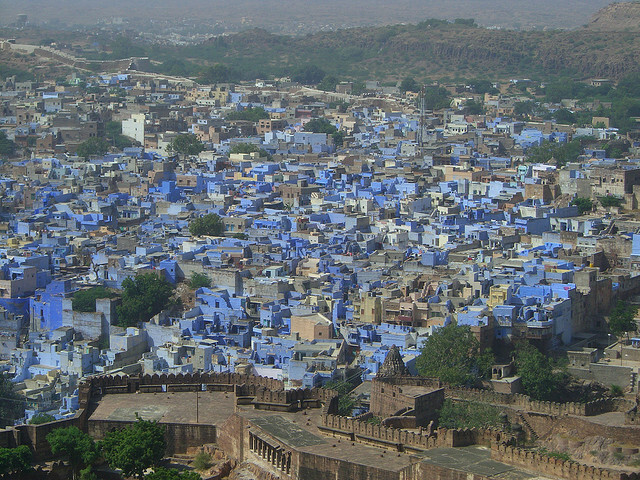 Why the population of the fortress city – the Blue City as it is universally known – took to painting their houses in various shades of blue is not completely certain. 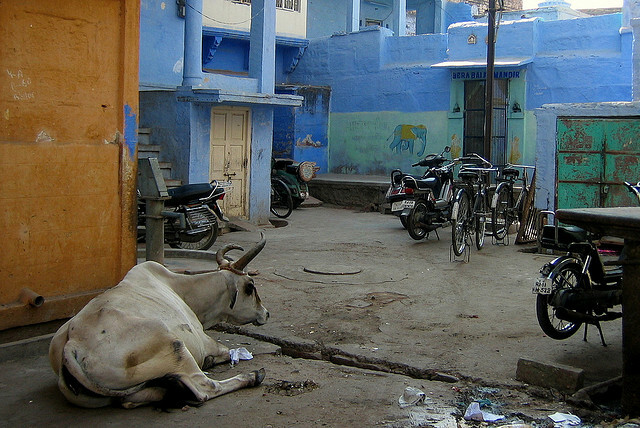 Yet most believe it is to do with the prevailing caste system in India. 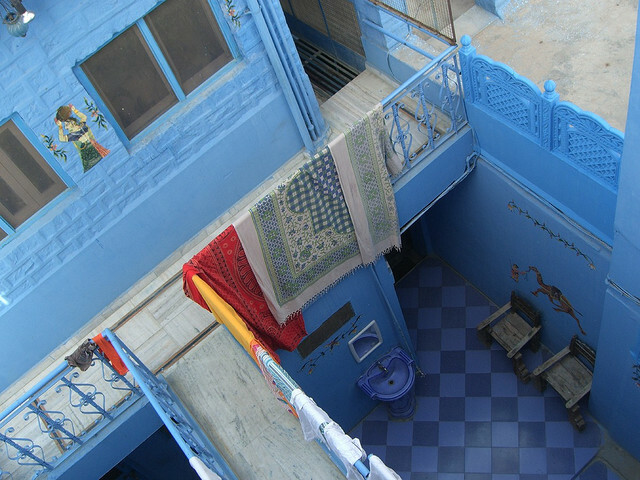 It is thought that Brahmins – members of the priestly class – first took to coloring their houses blue (yet perhaps it should really be called indigo) to signify their domicile and to set them apart from the rest of the population. 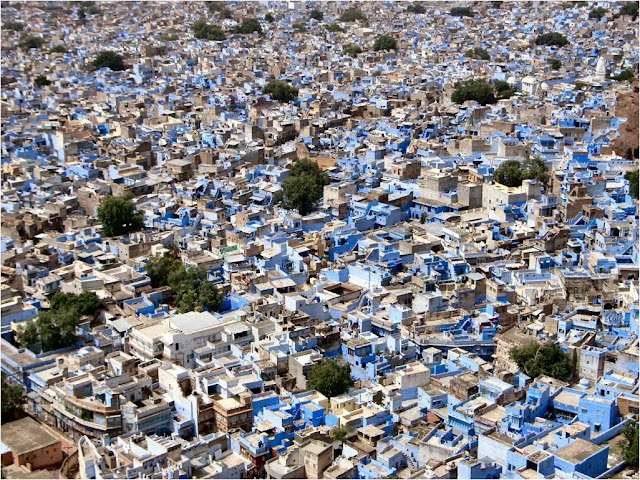 Soon, however, the rest of the population followed suit. 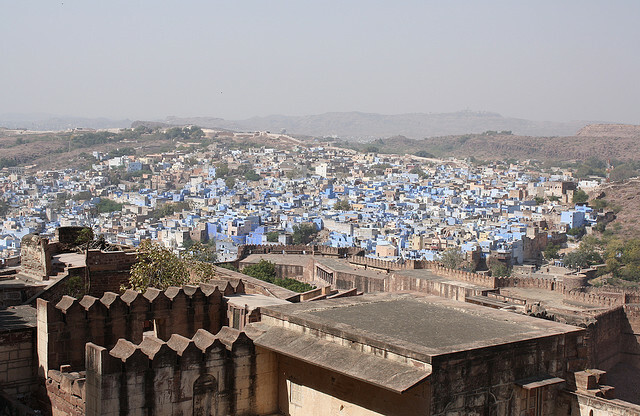 History does not tell us which brave non-Brahmin was the first to do it, yet it happened and since that day the people of Jodhpur have steadfastly maintained this tradition. 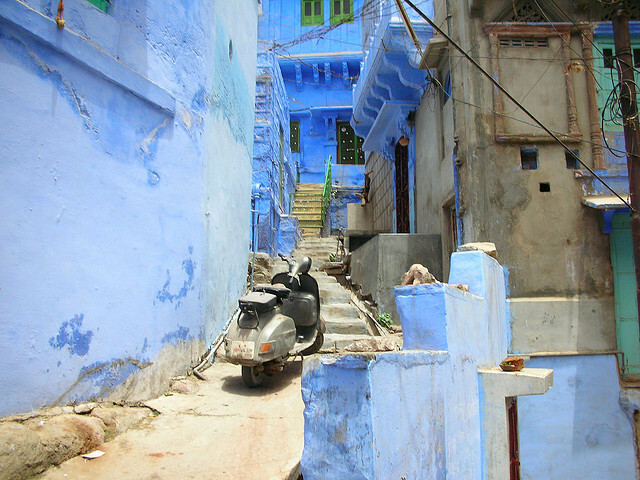 Ask a local why all the houses are painted thus and the usual reply is that the color keeps the interiors cool and fends of mosquitoes. 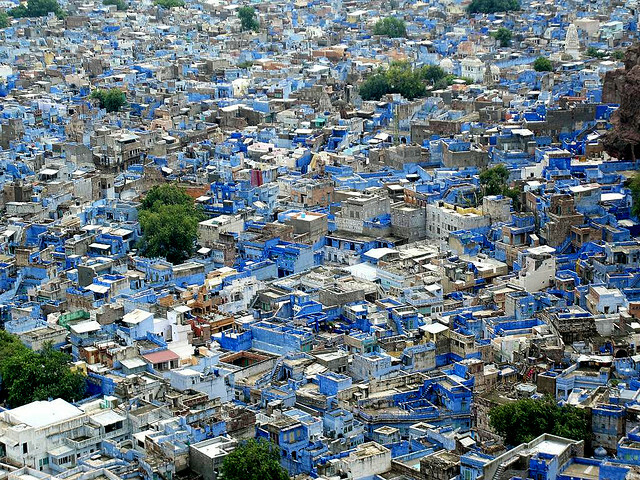 Yet if this truly worked then it would be quite likely that the whole subcontinent would be awash in various hues of indigo. More likely is symbolism. 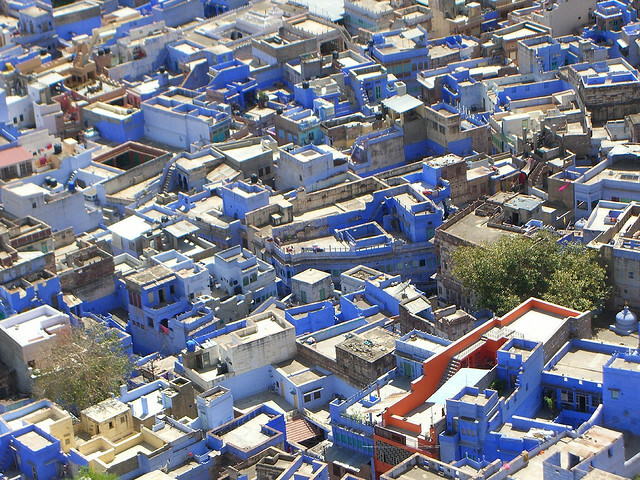 Although an unscientific response, what answer would most give when asked the color of water? 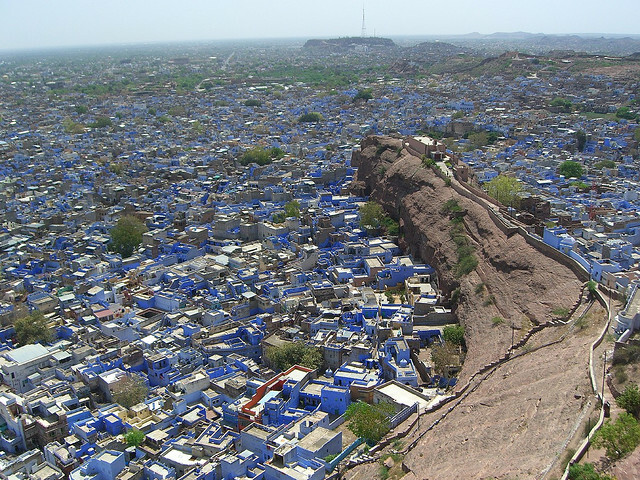 It is likely that the ubiquitous blueness of Jodhpur is an exuberant display of human resilience against the stark Thar desert which surrounds the town. 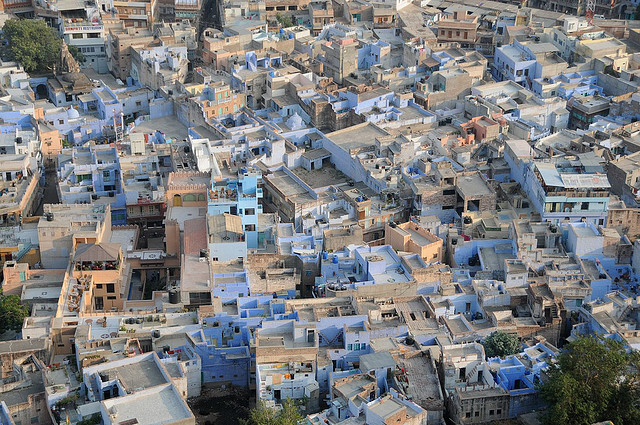 Against the bleak backdrop of parched brown earth the blue city exerts itself magnificently. 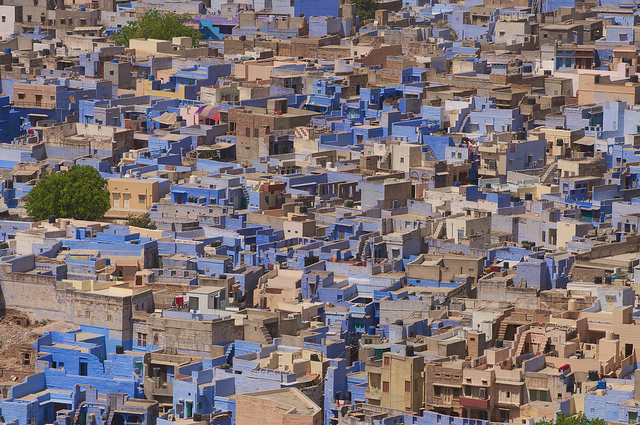 You might think that closer inspection would lessen the impact of the color, yet a look at many of Jodhpur’s streets immediately puts that idea to rest. The word unremitting springs immediately to mind. 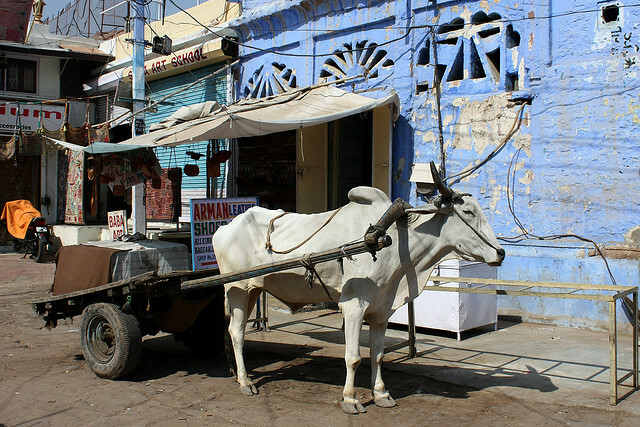 The modern trappings of life go side by side with evidence that many people still live as simply as they have always done. 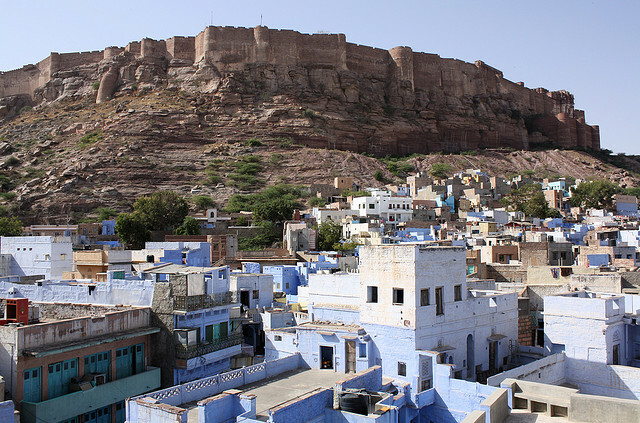 Although Jodhpur was only founded in 1459, the state of Rajasthan is significant in Indian history as it formed the bedrock of the Indus Valley Civilization, thought to be one of the most ancient human civilizations on the planet. 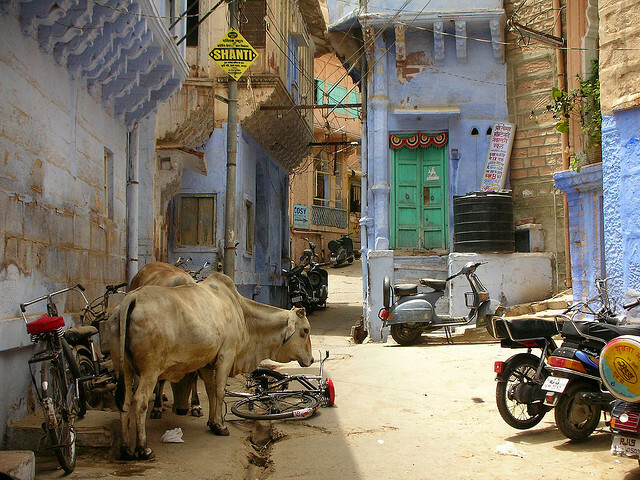 Perhaps the color has a calming effect but humans and animals seem to coexist peacefully side by side in Jodhpur. 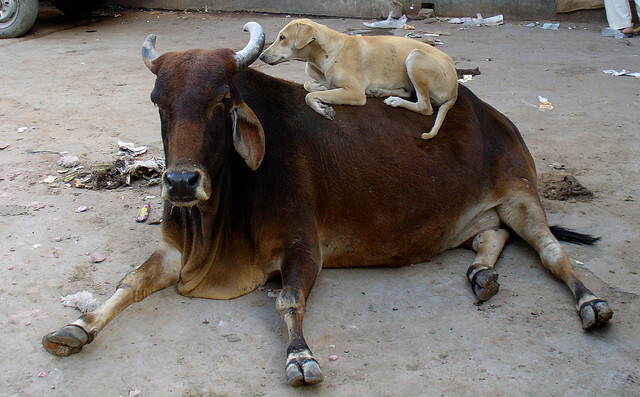 Even with the animals, inter-species friendships are not unheard of. 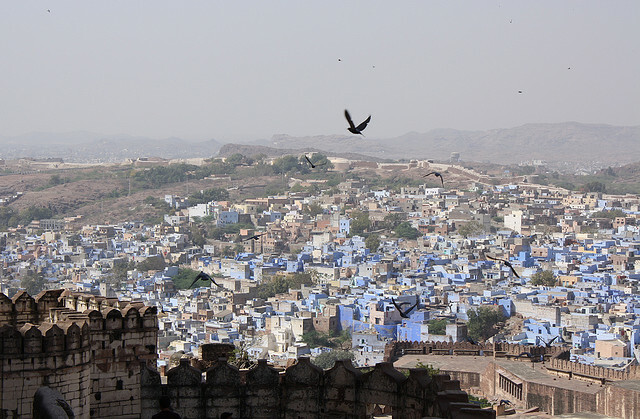 Squatting above the city like a giant bird mourning its broken blue eggs is the mighty Mehrangarh Fort the foundations of which were built in 1459, the year in which the English knight John Fastolf died – to be immortalised much later by Shakespeare as Falstaff. 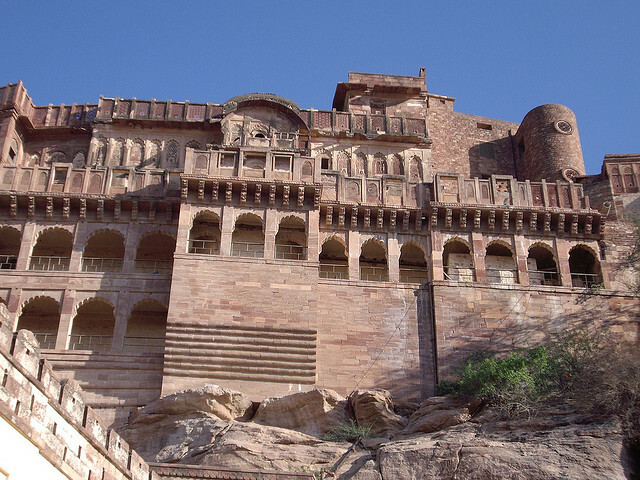 The fort was ordered by Rao Jodha the ruler of Rathore who had decided to move his capital there. 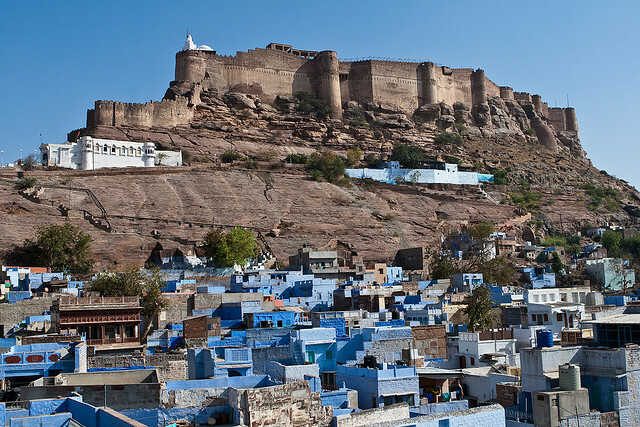 One legend has it that in order for the fort to be built the only human resident, a hermit, had to be forcibly evicted. He cursed Jodha with the words May your citadel ever suffer a scarcity of water! 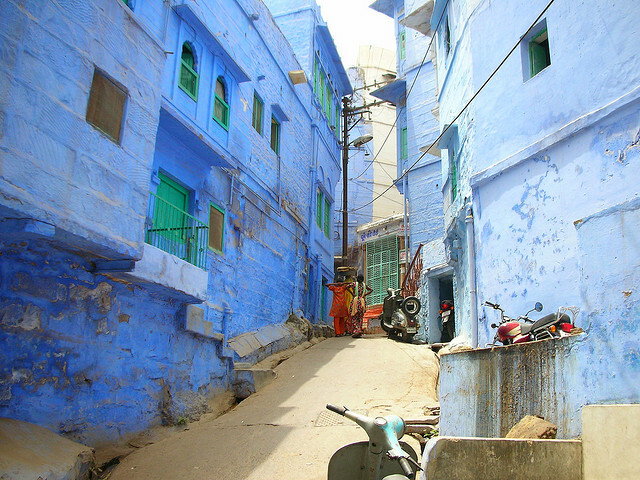 Although the ruler did eventually appease the hermit by building him a temple the city is still hit by drought every four years or so. 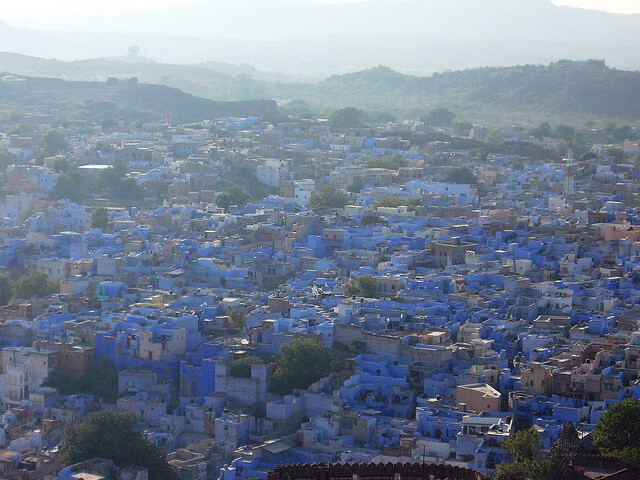 A much darker legend is that of Rajiya Bhambi. Jodha promised that his family would be looked after eternally if he did one thing for him. 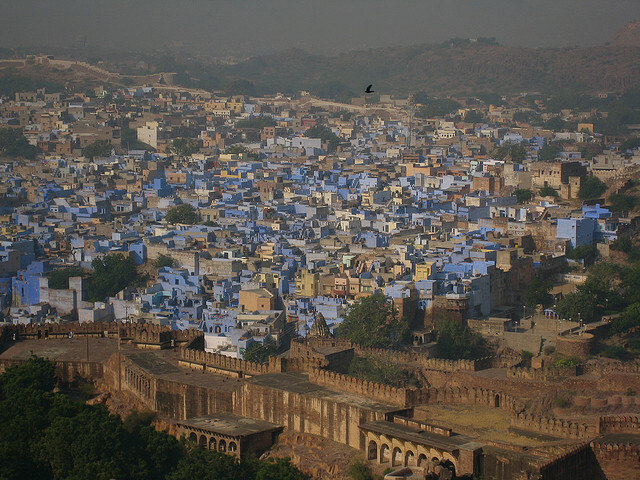 The request was that he would be buried alive in the foundations of the fort. Rajiya agreed. 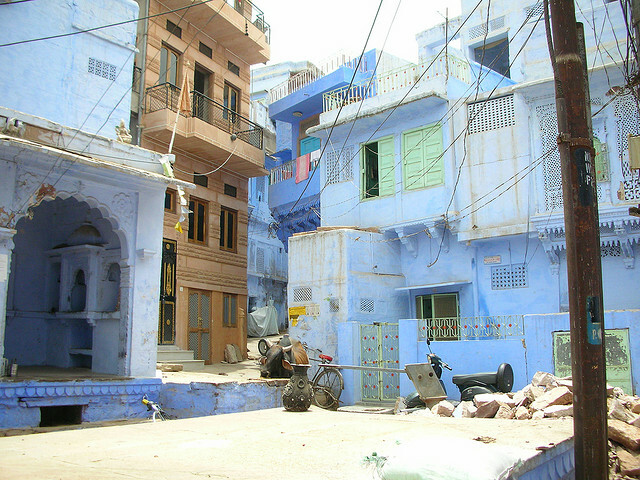 To this day his descendants still live in a blue house on the land they were gifted by the ruler which is known as Rajiya’s garden. 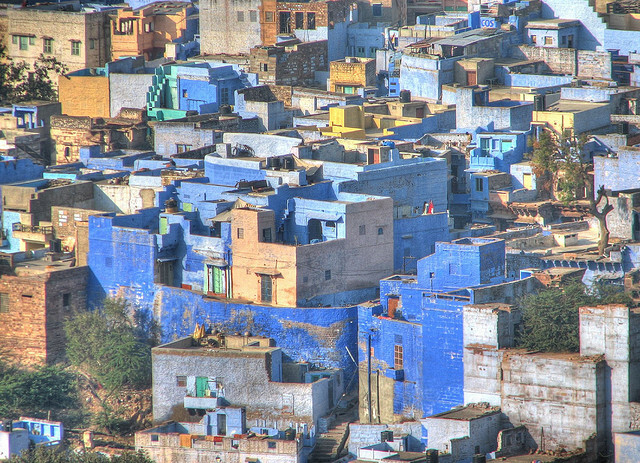 The color of Jodhpur tells the history – and makes it legend - of a populace who shaped a paradise in the heart of the heat and sandstorms of Rajasthan. At 42.5 kilometers, the Qingdao Haiwan Bridge, connecting the city of Qingdao in Eastern China's Shandong province with the suburban Huangdao District across the waters of the northern part of Jiaozhou Bay, is the longest bridge over water. The six-lane road bridge is almost 5 kilometers longer than the previous record holder - the Lake Pontchartrain Causeway in the American state of Louisiana. When it opens to traffic later this year, the bridge is expected to carry over 30,000 cars a day and will cut the commute between the city of Qingdao and the sprawling suburb of Huangdao by between 20 and 30 minutes. The bridge was built in just 4 years at a cost of US$ 8.6 billion. At least 10,000 workers toiled in two teams around the clock to build the bridge, which was constructed from opposite ends and connected in the middle in the last few days. The 450,000 ton structure of steel is supported by 5,200 columns and is strong enough to withstand a magnitude 8 earthquake, typhoons or the impact of a 300,000 ton vessel. China is already home to seven of the world's 10 longest bridges, including the world's lengthiest, the 102 mile Danyang-Kunshan rail bridge, which runs over land and water near Shanghai. And with Beijing pumping billions into boosting China's infrastructure, the Qingdao Haiwan Bridge will not be the world's longest sea bridge for very long. In December 2009, work started on a 31 mile bridge that will link Zhuhai in southern Guangdong Province, China's manufacturing heartland, with the financial centre of Hong Kong. 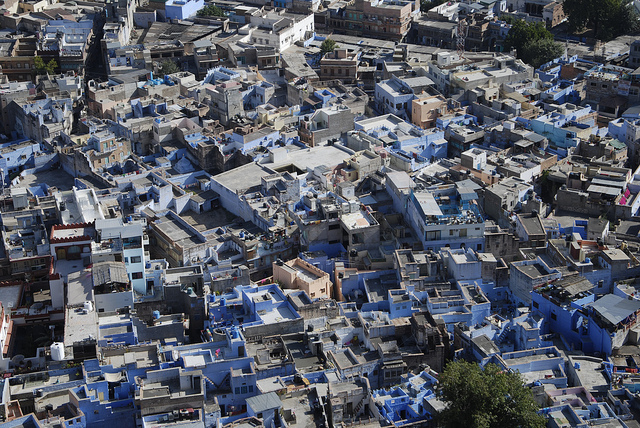 The £6.5 billion project is expected to be completed in 2016. 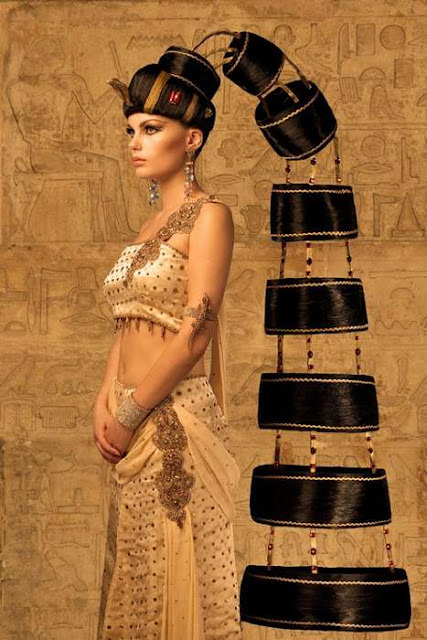 It’s truly amazing what people can do with hair, just look at these spectacular hairstyles by Arnostyle. 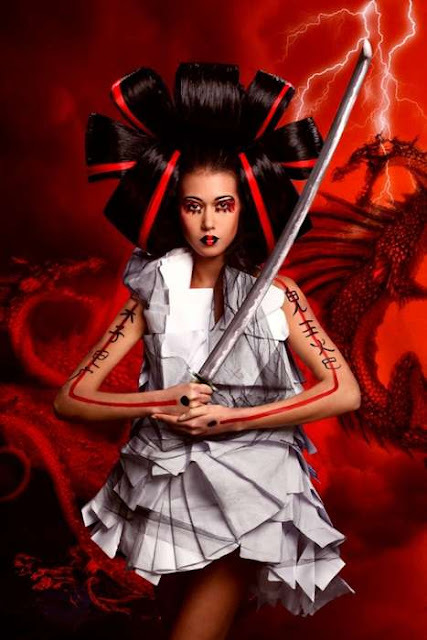 Said to be one of the “masters of hairstyling,” Arnostyle creates massive masterpieces from the follicles of his models. The hairstyles by Arnostyle are anything but subtle. 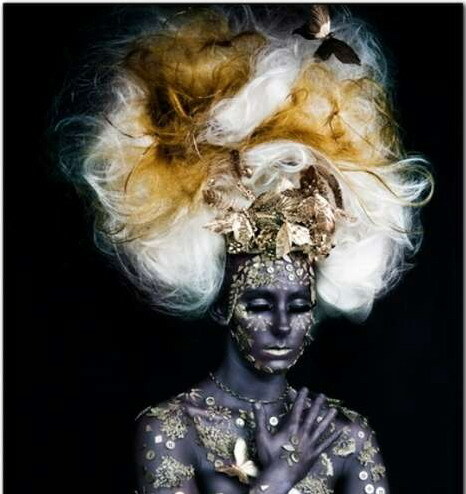 This hair wizard’s work is over the top, exciting, and outrageous. He must go through millions of hairspray cans a year creating these crazy looks. 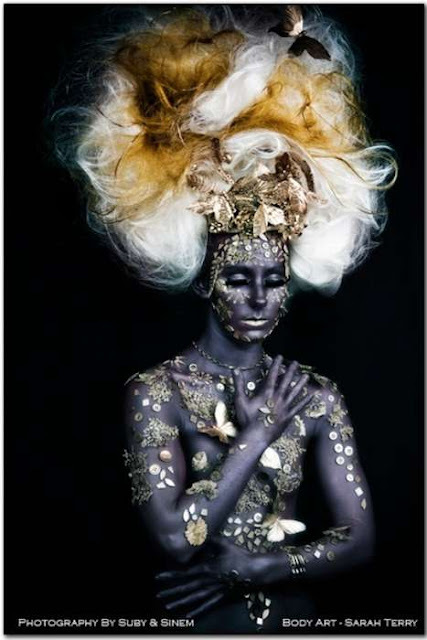 Some of his wicked work can be seen in the gallery.